It’s nice when you find inspiration for your next design or DIY project right in your own back yard. On a recent “home” and garden tour of Del Ray Cafe (DRC), owner Margaret Janowsky showed Leslie and me how they designed and maintain a green landscape at the restaurant, but she also shared a wealth of small-space and eco-friendly interior design projects anyone can replicate in their own homes. 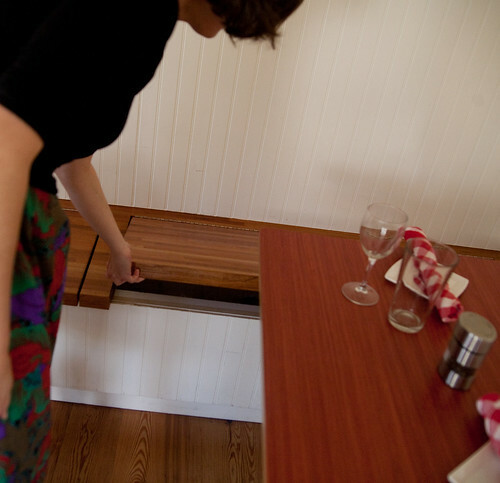 First, small-space solutions. It’s been a dream of mine to have bench seating with storage underneath, and furniture like this that pulls double duty is always welcome. 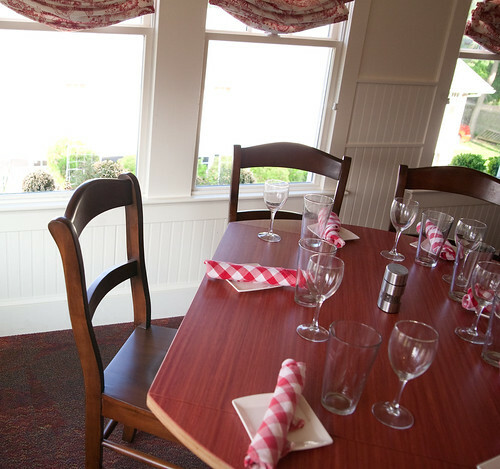 You’ll find DRC’s built-in benches in the dining room on the first floor. 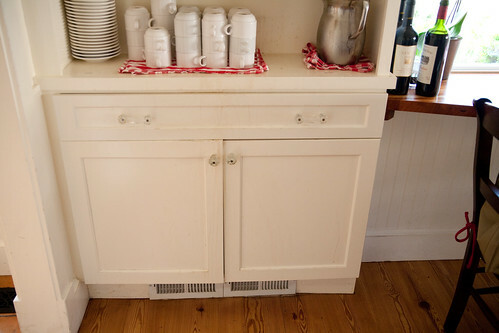 They also have built-in cupboards on either side of the front windows for storage with a counter in the middle, a simple way to make a breakfast nook out of a small wall. Upstairs, they converted a functioning door into a community message board so local businesses can leave cards. Below, they painted a chalkboard for the day’s specials. If you aren’t one to display the menu in your house, I’m sure you could find a million other uses for a chalkboard door. 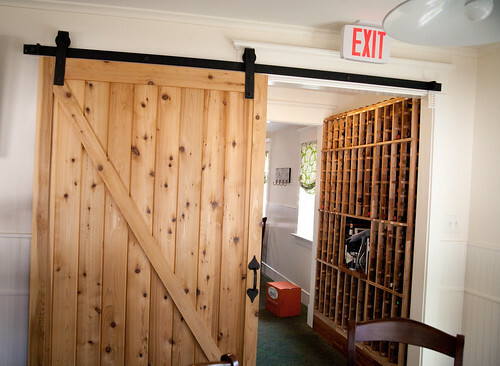 Another feature I’d love in my house is a sliding barn door. 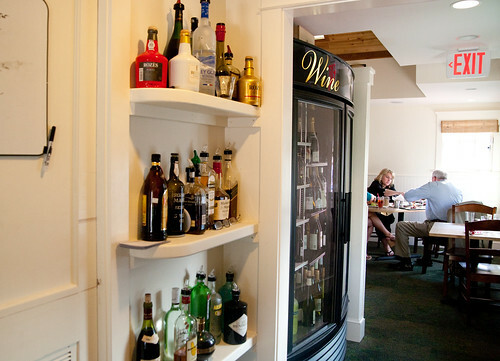 This one blocks off the dining room from a bar serving station giving patrons more privacy without adding a bulky door. It looks amazing, but it also makes great use of a tight space. 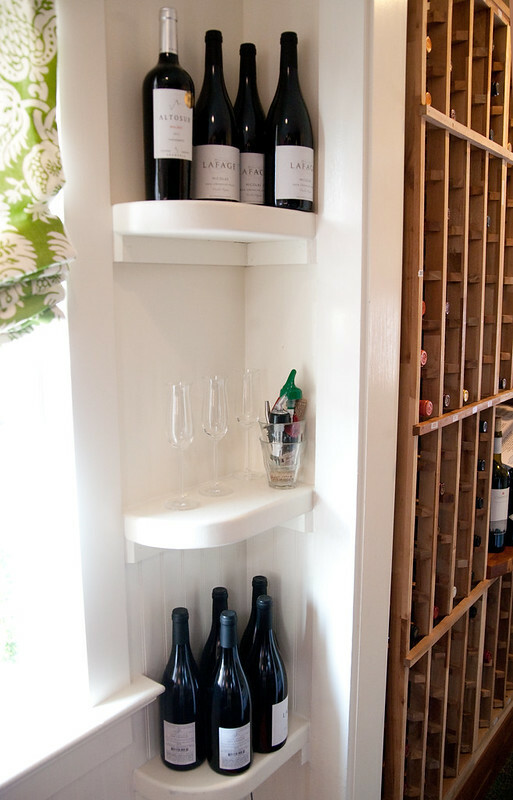 The serving station takes advantage of every inch in the small walkway to store many bottles of wine and liquor. 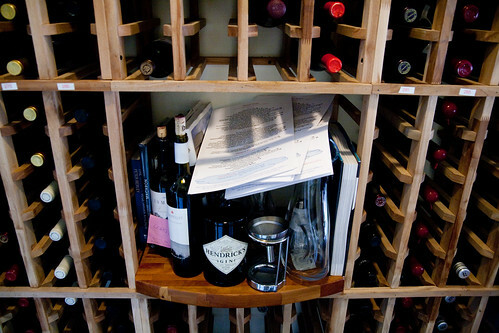 Another ingenious use of a small space is this set of shelves. They look old, perhaps original to the building, but they were built during the renovations last year. The rounded edge detail is smart for such an awkward, high-traffic corner. 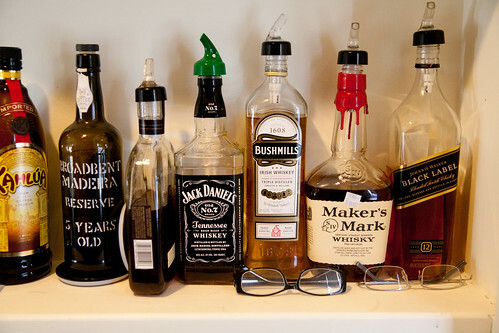 The shelves are just the right depth to hold bottles in a space where a piece of furniture would not fit. They repeated the shelving on a wall around the corner too. There are also several eco-friendly elements in DRC’s decor. 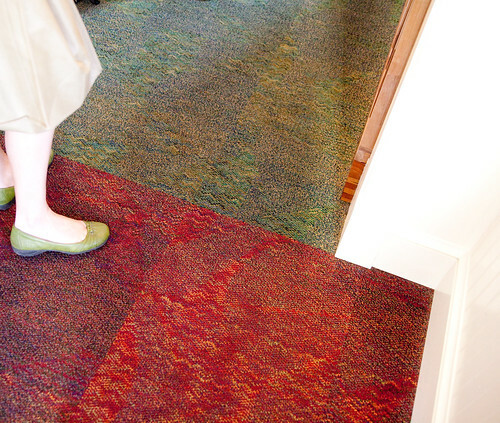 The durable carpet tiles, from Flor, can be recycled. These are commercial grade, but you can also buy them for your home. 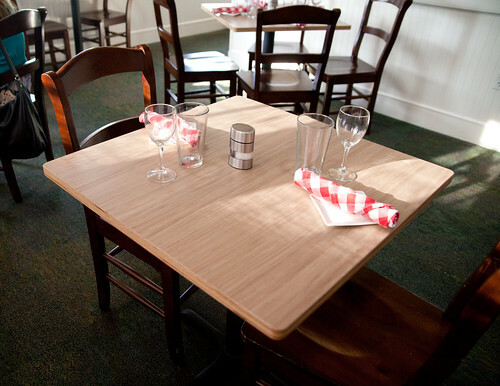 You wouldn’t know this by looking at them, but the tables and chairs are sustainable. The bases of the tables are made from reclaimed engine blocks. The chairs are made from rubber wood trees. These trees are typically harvested for their sap, with the wood thrown out. Now, manufacturers are saving the wood to use as furniture. 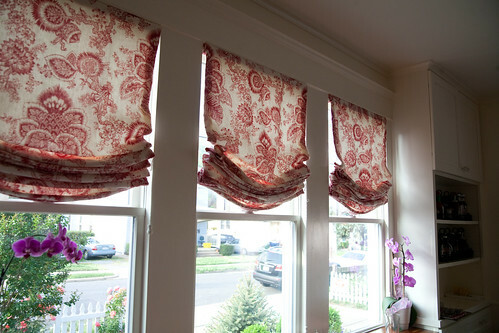 Margaret ordered the curtains with 100% organic fabric from Ballard Designs, custom fit for the windows. 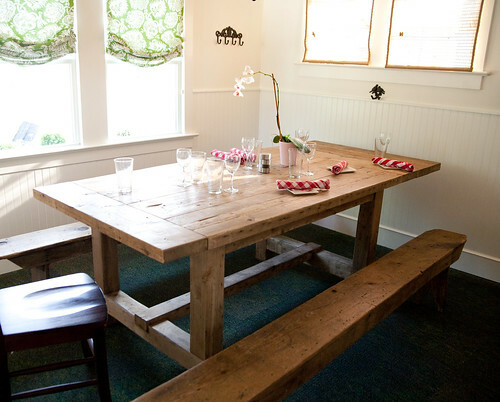 Refurbished antiques, such as the benches used with the farm table upstairs, are also an important part of the decor. And they are great for fitting in a large group, as we did with our neighbor’s baby shower. 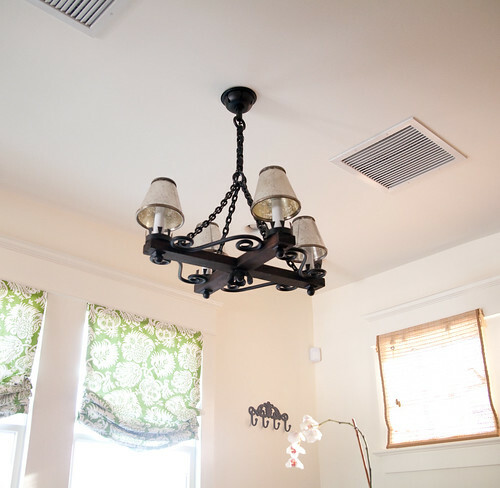 Margaret found the light fixture above the farm table in a dusty heap in an antique store and had it rewired and renewed. 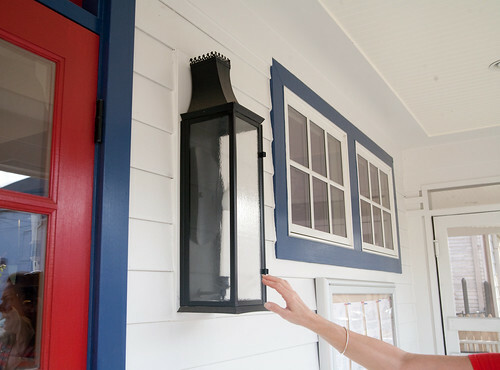 The lantern on the front porch is also a salvaged light fixture. 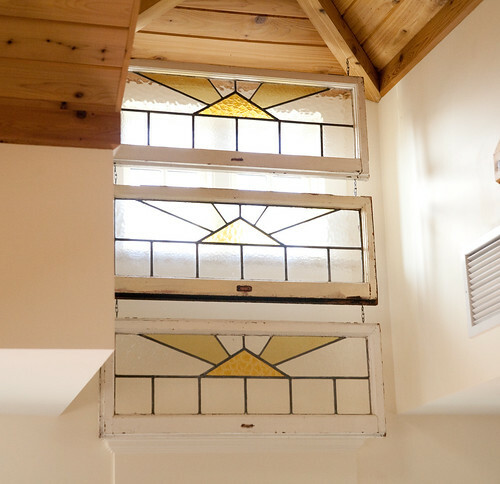 And one of our favorite design elements is the trio of stained glass windows hung in the rafters on the second floor. Margaret’s brother and sister-in-law had these lying around their house and offered to let Margaret take them for the cafe, a simple enhancement with such a beautiful impact. 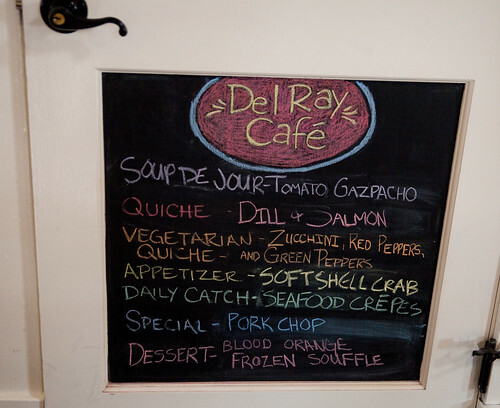 Del Ray Cafe’s mindfulness of the environment, blending the old with the new, and making every inch of a small-space count are definitely ideas we can repurpose in our own homes. We love decorating that tells a story — rescued family heirlooms, refurbished antiques, reimagined elements of nature — and it seems everything at DRC has something to say, something that makes you feel at home. Have you taken a closer look at the design elements at local businesses? 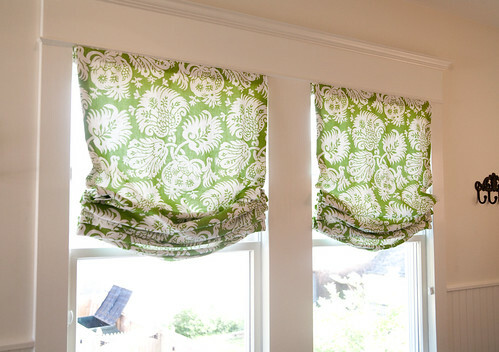 Have you incorporated any ideas in your own home?